Envelope stuffing is a work from home job that has become famous among people searching for jobs or those looking for an additional source of income. However, there have been a lot of questions raised about the legitimacy of this type of job offers. 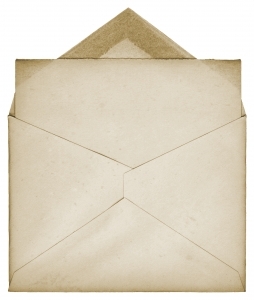 Work from home envelopes stuffing jobs are usually being offered as a quick way to make money. However, before you fall for the trap and start your stuffing gig, read on and learn. There have been a lot of complaints written from people victimized by this jobs offers for doing envelopes stuffing. Yet each and every day, more and more people still continue to fall for the scheme, be a work from home envelope stuffer and think that this work from home envelopes are legit. This is mainly because these companies tend to target the gullible crowd. These are the people who would immediately get excited knowing that there is a job opportunity with less work to put in, without even thinking first. In order to fully understand how this business scam of work from home envelopes operate, you need to know the step by step process. The first thing that these work from home stuffing letters or envelopes or work from home mailing envelopes opportunity ask for, is a payment for a starter kit. They see to it that those who are interested to get this job will be convinced that they badly need this starter kit to join the work force. Without a kit, one would not be able to do the job. Once the potential victim is convinced, payment is given to the fraudulent company. The victim then thinks that he is now qualified and ready to do the job. However, he just finds out later that he has been scammed and there is no job. A lot of victims have reported being scammed by these companies that offer work from home envelopes. The promoters of such scams are already being cracked down by the right government agencies. Nevertheless, it always pays to know how to avoid this scam. Several people fall prey for scams mainly because of an offer that is too good to be true. This being said, it is important to stay away from these kinds of offers. Once you hear an offer that seems too good to be true, the first thing that you must do is be suspicious of the offer. Immediately believing that this is a good offer, might lead to your downfall. One thing that you can also do is investigate. Now that the internet is readily available anywhere, one cannot just be too lazy to at least research about the offer and discover if it is legit or not. Nevertheless, always put in mind that envelope stuffing is a scheme that has been taken advantage by a lot of people and is never a true business opportunity. So once you hear about work from home envelopes job offers, just stay away from it.